A Hero or a Coward! The time is 1863. The setting, the Civil War, America's bloodiest conflict. 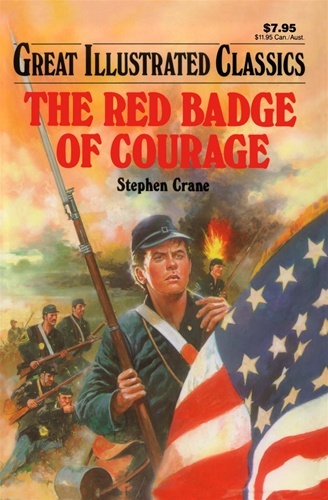 Henry Fleming, a country boy on the Union side, is full of emotion as he and his fellow soldiers wait for their first battle to begin. Will Henry become the hero he dreams of being? Will he and his friends even survive the deadly fire of the enemy? And who is the enemy, but other American boys like himself? 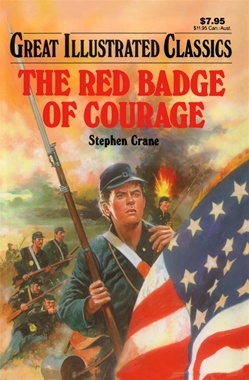 Fear and courage exist at the same time, as each man undergoes his own trial by fire, his own grasping for the red badge..